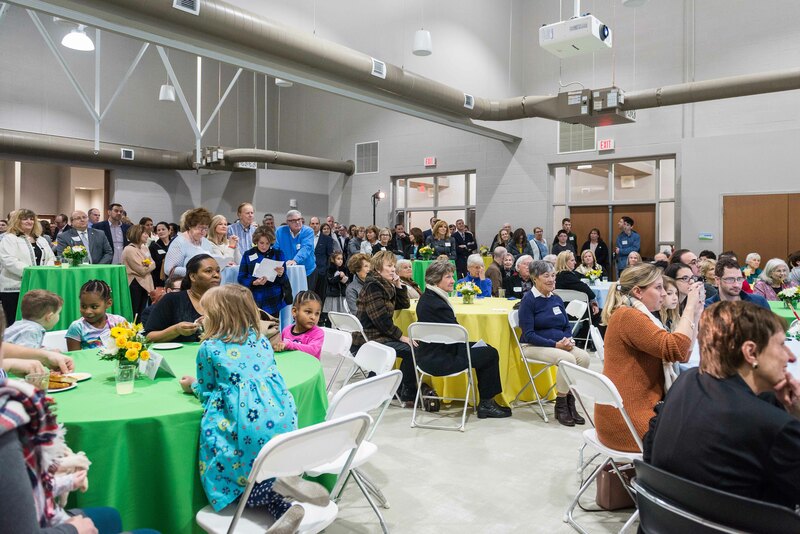 From centerpieces to feature walls to even the appetizers, the Grand Opening of The Childhood League Center had one clear theme: children! 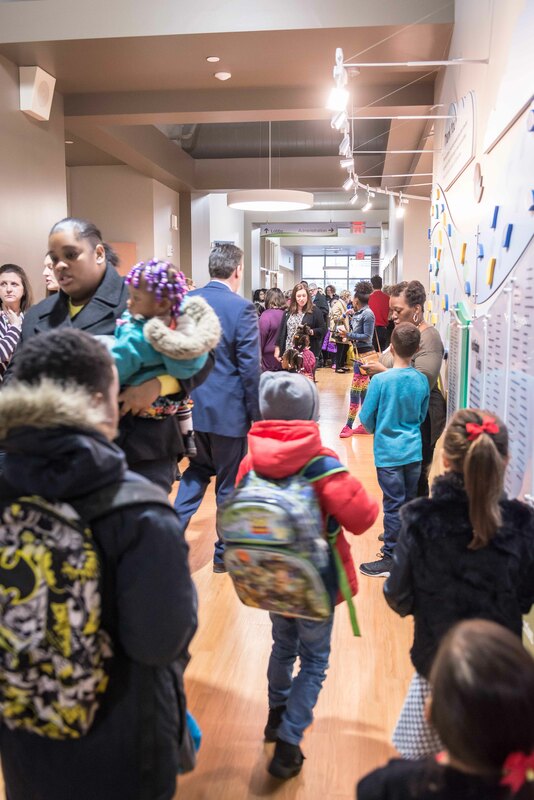 Enthusiastic children welcomed the crowd before Ginger Young took the podium alongside Board Chair Peter McMurtrie to share The Center’s rich history, journey to The New Center, and excitement about the future. Featured speakers for the evening, included: United States Senator Sherrod Brown (via video), State Senator Stephanie Kunze and Franklin County Commissioner Kevin Boyce. 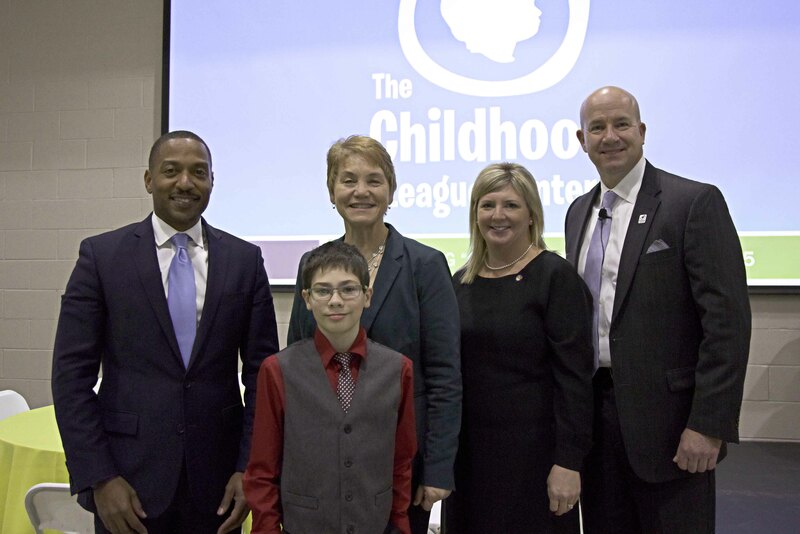 The highlight of the evening, however, was Center alumni, Jesse – now 11, who shared his memories of The Center, what he learned during his time here, and advice for current students. After the program, guests toured the new facility while expert staff explained the purpose and benefits of each different space. A special art project just for kids! Every area of the new building was evaluated and designed by experts to meet the needs of Center children and create an optimal learning environment for children with developmental delays. The new building features 10 classrooms (with room to grow!) that are larger, enabling children to interact in smaller groups which can benefit children who may easily feel overwhelmed. Classrooms also feature one-way observation windows for experts and families to observe classroom activities, without disturbing daily routines. There are also calming rooms to offer a quiet, private area for comfort and self-regulation for children with sensory sensitivities. 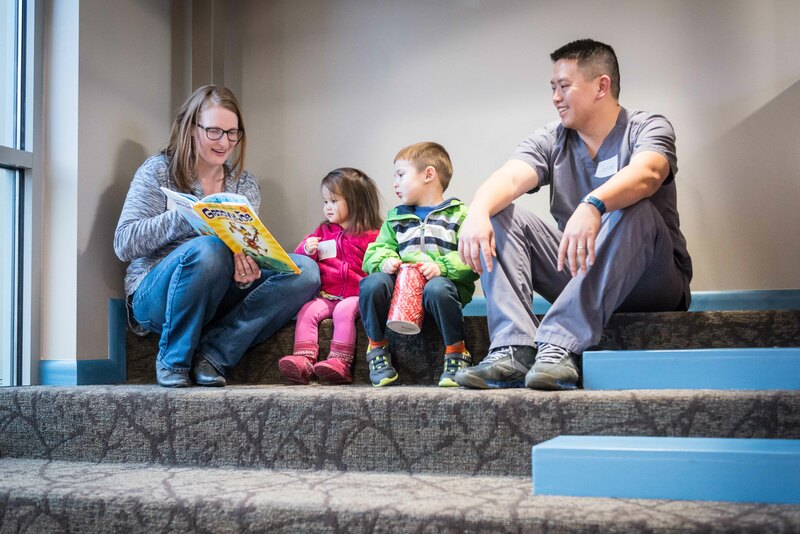 The Luu family enjoys the Children’s Library. More than double the space: The new campus encompasses 40,000 square feet on four acres of land. 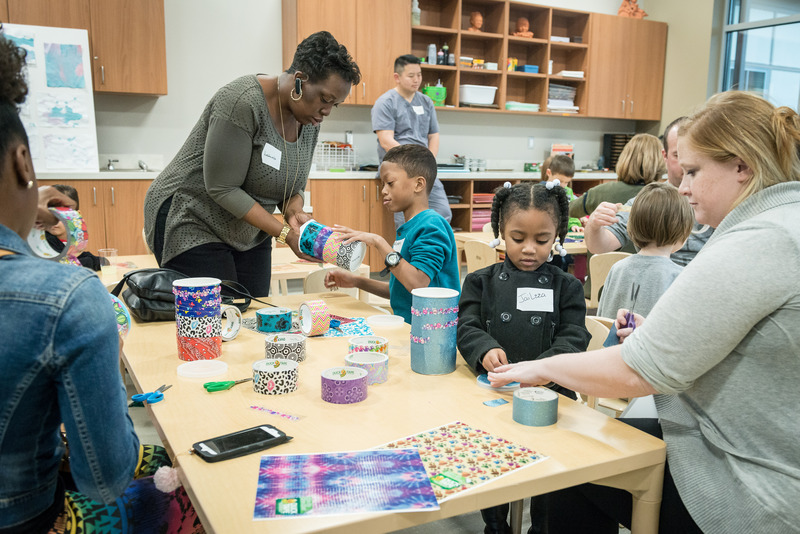 Serving more children: The Center’s goal is to serve 100 more children on the campus including those with and without special needs and those at risk. New outdoor environment: The new campus features nearly an acre of outdoor play-scape that is unlike any other. Uniquely situated in an urban area, the outdoor environment allows children unstructured play time – cultivating exploration and natural curiosity – featuring sensory gardens, an art courtyard, balance center, outdoor theater, and more, all steeped in natural materials. 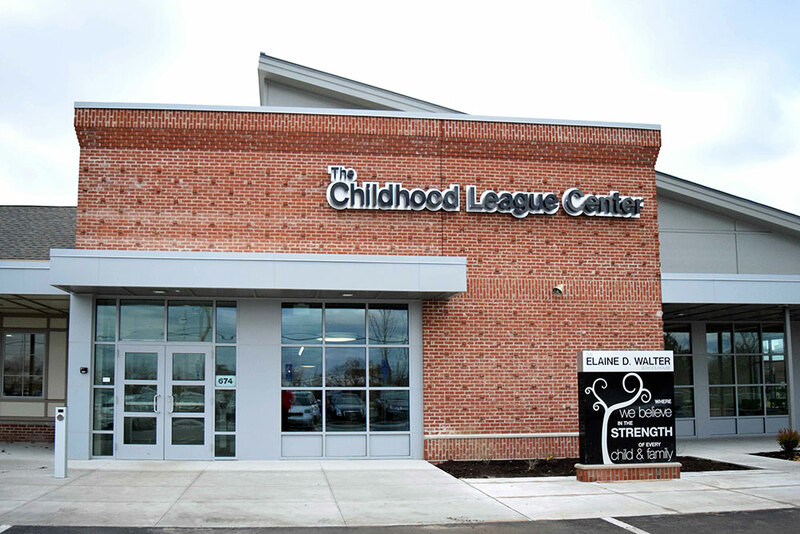 Training Facility: The new space, combined with new technology, allows The Childhood League Center to expand their footprint in providing professional development trainings to more professionals throughout the city, state and region. For more information about upcoming events and trainings, sign up for e-communications by clicking here. THANK YOU to those who generously gave leadership level gifts to our "It's All For The Kids" Comprehensive Capital Campaign!